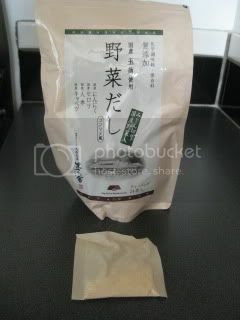 This is a tea-bag style Japanese vegetable stock. It's made of all natural ingredients and makes really nice vegetable stock. It's a popular brand from Fukuoka, Japan, and the company have many fans among Japanese foodies. I love using it for my quick meals, because it brings a real (and natural) gourmet flavor to dishes. So, with this instant vegetable stock, I made simmered Koya Tofu. 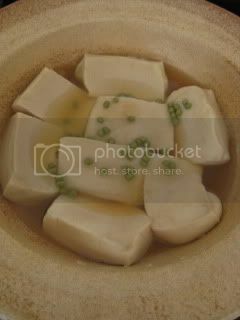 Koya tofu is basically freeze-dry tofu, and it's a traditional staple food in Japan. I love it so much, so I almost never ran out of koya tofu in my pantry. It's also richer in protein and umami flavor than fresh tofu. 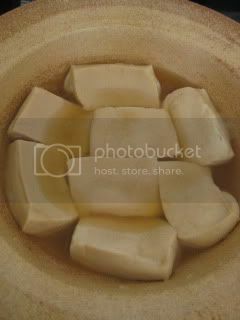 Here's my easy simmer Koya Tofu recipe with donabe. 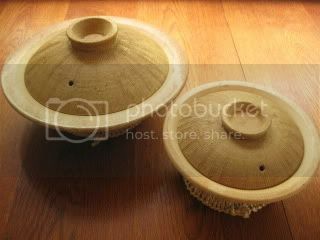 This time, I used large size of classic-style donabe, "Yu Kizeto". Rehydrate 4 pieces of koya tofu and drain moisture by pressing by hand. Cut each piece into half. 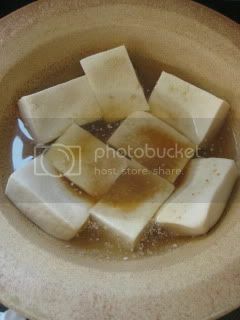 Put all the pieces of koya tofu in the donabe, and 1.5C water and add the content of 1 packet of vegetable stock (or just use 1.5C of your choice of vegetable stock). Also add 2T sake, 2T mirin, 1T raw brown sugar, and 1.5T usukuchi shoyu (light color soy sauce). 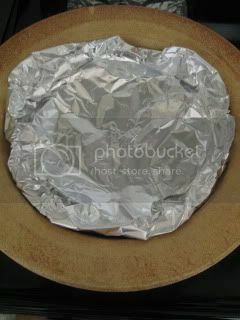 Line the surface with a piece of aluminum foil ("drop lid"), and cover with lid. Set it over medium heat. 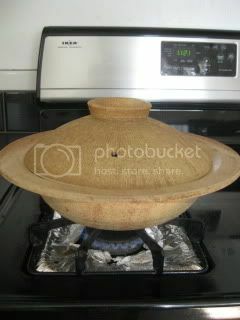 As soon as it starts almost boiling, bring it down to simmer. Simmer for 25 minutes. Koya tofu absorbed the broth very nicely. 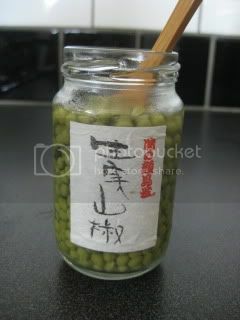 To finish, add a teaspoon of sansho berries (optional) and continue to simmer for 1-2 minutes. Turn off the heat and let it rest for 5-10 minutes. 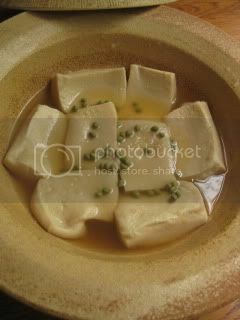 My simple simmered Koya Tofu in vegetable broth was ready. I like it warm, but I also like it cold the next day. 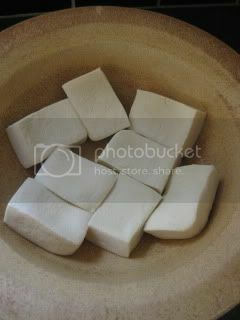 The koya tofu had a nice meaty texture with deep umami flavor. So wonderful. 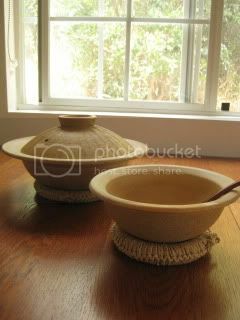 With the mini-size classic-style donabe, "Yu Kizeto", I also made a quick chicken zosui (soupy porridge). 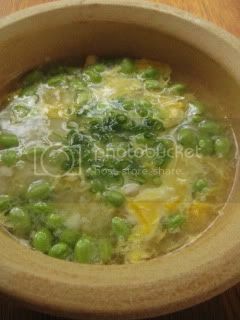 A tiny portion of cooked rice was simmered with chicken tender and edamame in the vegetable broth and finished with egg. Life is good. Thank you for always working so hard for me, my beautiful donabe-chans.